New album out now on Bombshelter Records features guest appearances by Melvin Seals (Jerry Garcia Band), Marshall “Ras MG” Goodman (Sublime), Yeti Beats and more. 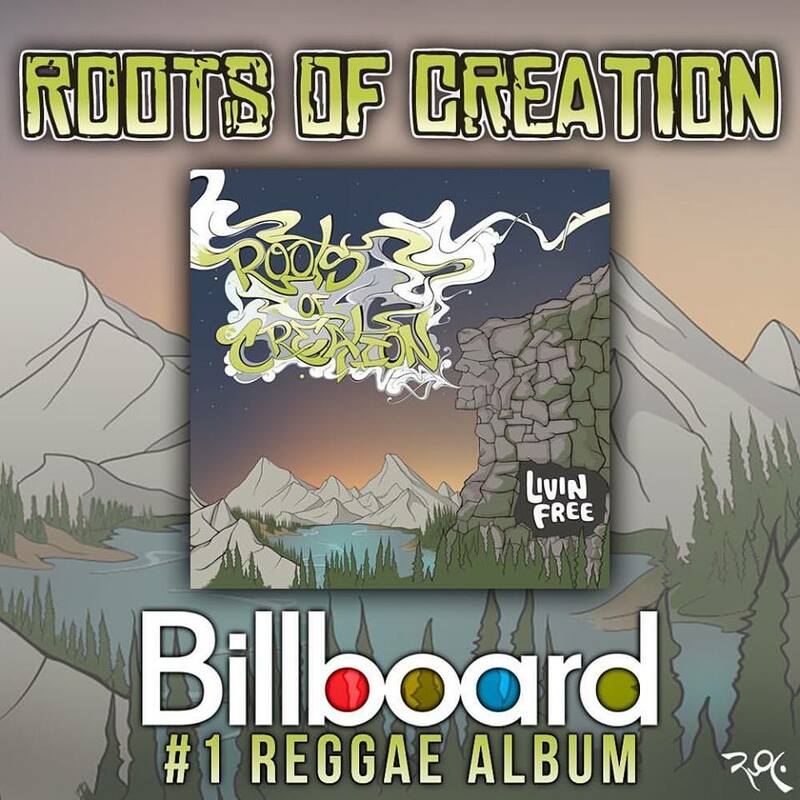 The 3-disc deluxe version of Roots of Creation’s latest studio album, "Livin Free,” debuted this week at #1 on the Billboard Reggae Chart. Released April 22nd on their own label, Bombshelter Records, and distributed by ILS/Caroline/Universal Music Group, “Livin Free” marks the band’s third studio release. The album’s standard version debuted at #10. “We could not have done this without everyone who was a part of our PledgeMusic campaign, those who purchased the album, our fans who come out to the shows, and our team behind the scenes,” says Roots of Creation. "It was a really huge team effort. The RoC family is just amazing, and we thank everyone for their support." “Livin Free” features guest performances by Melvin Seals (Jerry Garcia Band), Marshall “Ras MG” Goodman (Sublime, Long Beach Dub Allstars), the Rubblebucket horn section, Billy Kottage (Reel Big Fish), Bill Carbone (Zach Deputy, Max Creek), Grammy-nominated Pato Banton (Sting, UB40), and Mighty Mystic. 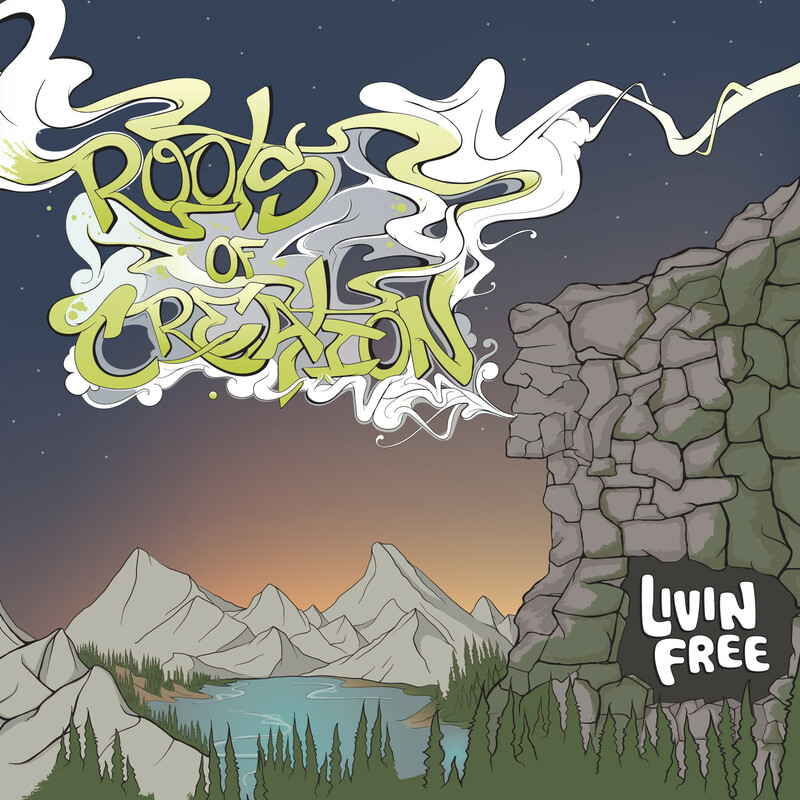 Additionally, the album welcomes guest production by Yeti Beats (Rebelution, Slightly Stoopid) and Ras MG.
A nod to the band’s home state of New Hampshire and its motto, “Live Free or Die,” the album marks their biggest endeavor yet. In addition to being an 18-track studio LP, "Livin Free" offers a 3-disc deluxe collection with both dub/remix and acoustic versions of 14 of the LP’s tracks in digital and CD formats. The CDs, as well as limited edition, hand-numbered (1/500), splatter/colored, double 12” vinyl, will be available via Amazon and select retail stores on May 6th. Glide Magazine says of the album, “Roots of Creation incorporate all the gritty West Coast mix of reggae and rock, along with poignant lyrics that give the listeners a conscious groove.” "Livin Free" is also featured in Relix Magazine, The Pier, Top Shelf Reggae, Rootfire, WorldAReggae, JamBase and more. "Livin Free" was produced by the band's lead singer/guitarist Brett Wilson, and co-produced by Pete Peloquin and Roots of Creation. All songs on the LP were engineered and mixed by Pete “Boardz” Peloquin (Gov’t Mule, OAR), except a handful by Craig “Dubfader” Welsch (G. Love, John Brown’s Body), Yeti Beats, and Roger Lima (Less Than Jake). The album was mastered by Grammy-winner and eight-time Grammy-nominated mastering engineer Jay Frigoletto (Alice In Chains, Black Eyed Peas). "Livin Free" is now available on iTunes (http://geni.us/LivinFreeiTunes), Amazon (http://geni.us/LivinFreeAmazon), Google Play (http://geni.us/LivinFreeGP), and in CD and vinyl format via the band's PledgeMusic campaign (http://geni.us/LivinFreeCDVinylMerch). Whether on the festival circuit, performing at jam favorites like Gathering of The Vibes, Wakarusa and Closer to the Sun, or sharing the stage at sold out shows with some of their diverse influences including Slightly Stoopid, The Wailers, and Michael Franti, reggae/rock/dubtronica band Roots of Creation offer up a high-energy, infectious experience. 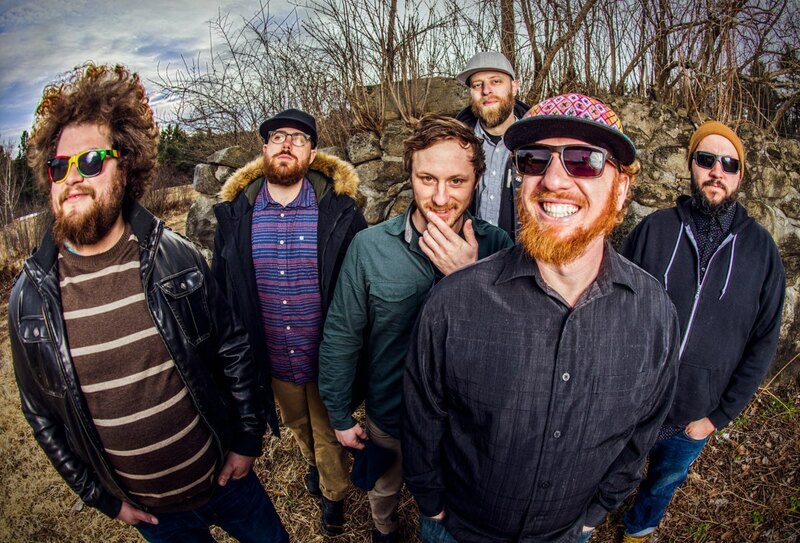 Awarded “Favorite Jam Band” by Cider Magazine and “Best Band In New Hampshire” by the New England Music Awards, Roots of Creation mix their jam-reggae hybrid sound with homegrown roots, guitar-heavy rock, and Brett Wilson’s introspective and conscious laden lyrics. Roots of Creation is now on tour, having recently performed select dates on the “Spring Blackout 2016 Tour” with The Expendables, Passafire, and Tunnel Vision. For more information on Roots of Creation, please refer to http://www.rootsofcreation.com.